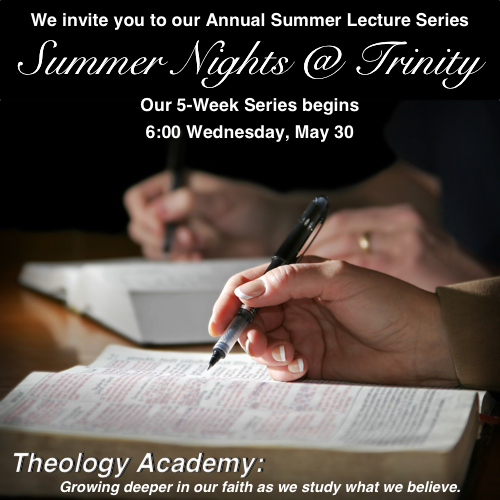 We invite you to join us for our annual Summer Nights @ Trinity lecture series. All are invited to attend as we work together to grow deeper in our faith by studying what we believe. Bring your bible and get ready to dig in!